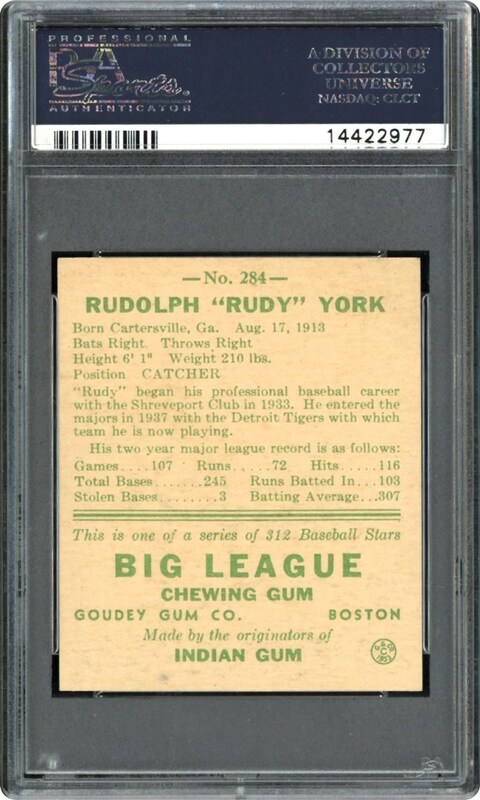 Presented here is a stellar 1938 Goudey PSA NM 7 gem representing Detroit's star catcher Rudy York, bested by only five meager examples. Due to Hank Greenberg's incredible first base prowess, Detroit was forced to move slugger Rudy York behind home plate and the power-hitting star did not disappoint, belting 277 round-trippers and knocking in over 1,100 runs in a stellar 13-year career. 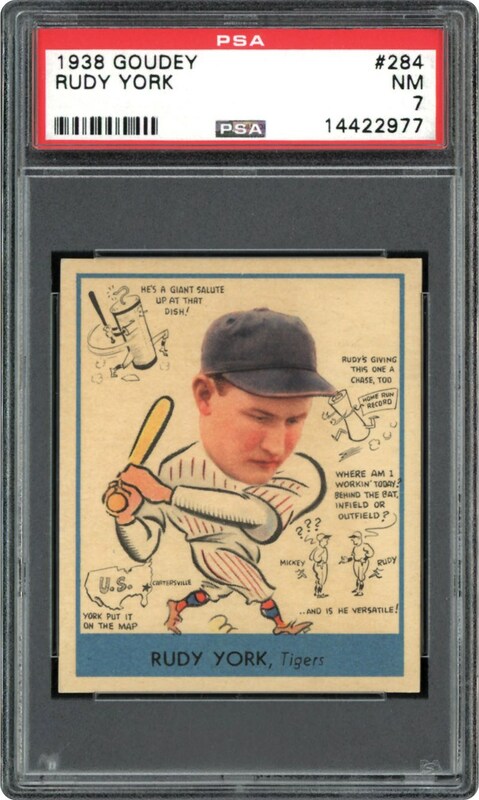 Still renowned for his record-setting August 1937 month whereby he slugged 18 home runs to eclipse Babe Ruth's previous 17 single month homer record, York's well-centered aesthetics on this high-grade offering is a perfect testament for his legendary stature!